Chrissy Lau is an illustrator from England and now lives in Sydney, Australia. 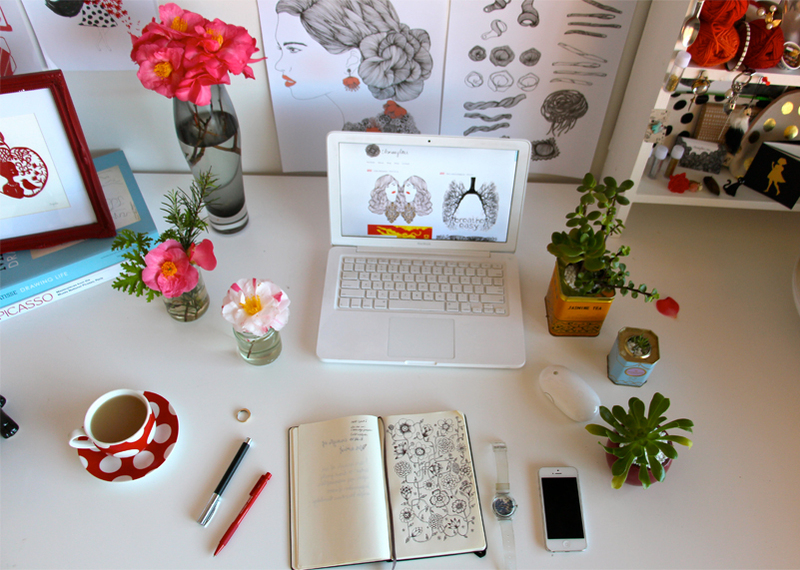 She graduated from university with a law degree but her real passion is all things creative. 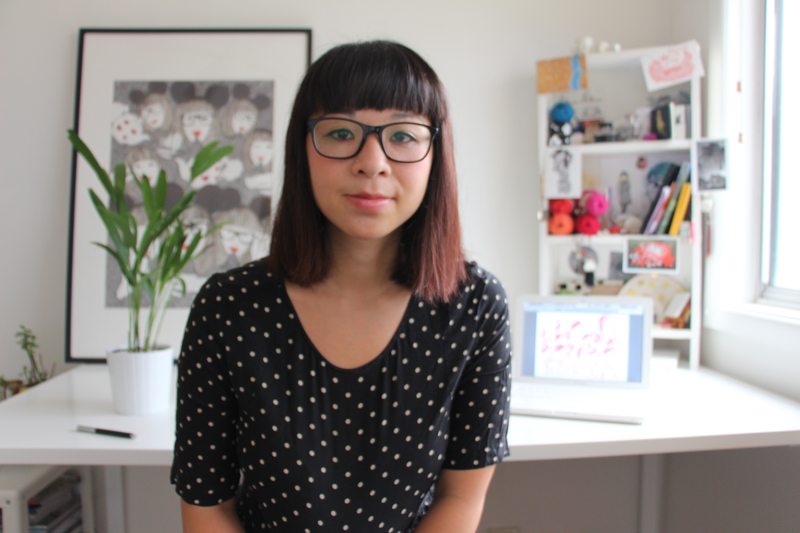 Chrissy has been a commercial illustrator for over 14 years, during that time she has also worked as an art gallery manager, online content producer and search engine marketing manager (Winner of the IAB Search Marketing Campaign of the Year 2011). Her illustrations are inspired by her Chinese heritage and are instantly recognisable by her signature delicate lines, masses of flowing hair & intricate patterns. If you'd like to know more please read the FAQ's, particularly if you are writing a project for school/university. Chrissy's Pastai illustrations have been awarded the Red Dot Design Award in collaboration with award winning graphic designer Daniele Politini. Her designs for Mambo have been highly commended by Desktop Magazine CREATE Awards. She has designed prestige limited edition coins for the Royal Australian Mint and Year of the Horse, Goat & Monkey stamps for Guernsey Post which have been approved by the Queen and are now available as a collectors edition here. Samsung, Johnnie Walker, Marie Claire, Sydney Opera House, Random House Penguin, City of Sydney, Royal Australian Mint, Orange Mobile, Mambo, Jetstar, BIC, Pelikan Artline, Filmme Fatales, Virgin, Seattle Met, DDB, Urban Walkabout, Men's Health, Red Magazine, Maxus, Guernsey Post, Smiggle, Women's Weekly, Elle Girl, A Magazine, Adopt Change, Pearson Education, Gary Pepper Vintage, King St Wharf, Defunker Shirts, AvantCard, La La Land, Total Girl Magazine, Sunday Telegraph, Cincinnati Magazine, Food & Wine Magazine, Seattle Met Magazine, Anna Lemma Magazine, Blanket Magazine, Pocketto Magazine, Pikka, Pastai, CARGO Bar, Bespoke Letterpress. PUBLICATIONS TASCHEN Illustration Now, TASCHEN Fashion Illustration, TASCHEN 2014 desktop calendar, Collective Magazine, CURVY Top 100 Female Artists, Hunger Magazine, Yen Magazine, Grazia, Cleo Magazine. Sara Stewart, Art Director, Restaurant Business magazine - Chrissy’s illustrations and lettering were just beautiful in our magazine. You already know her style is unique and full of life, but Chrissy herself is communicative, thoughtful and super smart. An art director’s dream to work with, I’ve already sang her praises to friends in the industry and look forward to working together again. Laura Buzard - Director of Product Development, Re-marks - "Chrissy is a pleasure to work with - from her communication to her creativity! She worked wonderfully for us under quick turnarounds and deadlines. Her composition skills and whimsical illustration made our project sing to retail consumers, leading to strong sales. I’m in Seattle and Chrissy in Australia: While working together on our project, I felt like I was receiving a little gift with my coffee when I opened her art files each morning. She beautifully transformed raw ideas discussed via words into delightful imagery!" Sara D'Eugenio - Associate Art Director, Seattle Met - "Chrissy Lau is a multi-talented artist. I asked to pull from her various styles to create a fairly conceptual idea. She dove right in with enthusiasm and excellent communication. She was great to bounce ideas off of and open to changes. An absolute delight to work with!" Nicola Rew, Designer, Red Magazine - "Having been a fan of Chrissy's work, it was such a pleasure to work with her. She has such a beautiful style that really brought our stars page to life, and turned the work around super quickly. I would highly recommend her to others and would love to work together again." Dawn Gallienne Head of Philatelic, Guernsey Post - "I was looking for a particular illustration style when I came across Chrissy's portfolio, and she did not disappoint. It has been a real pleasure to work with such a talented artist and a delight to see initial concept ideas come to life as a beautiful set of stamps. Chrissy is passionate, professional and easy to work with; I would recommend her to anyone else and I look forward to working with her again in the future." 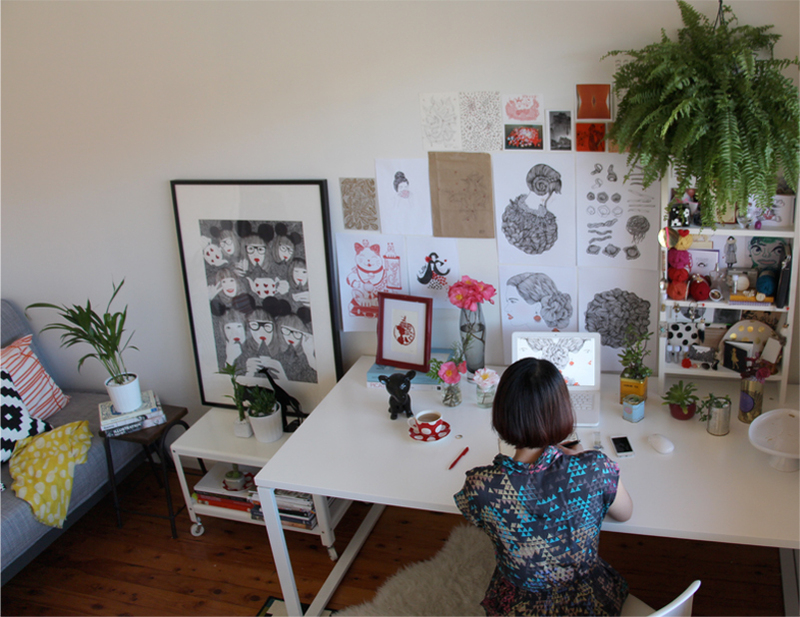 Simon Kuong Managing Director, Pikka Pikka - "I came across Chrissy's work on the Internet and was instantly attracted to her unique style and the amount of detail in her art. Her communication is timely and her work has won us many great comments from our customers. It is often said success is not only to rely on one's talent but more importantly attitude, and Chrissy has shown she has both. I wish her every success and would highly recommend her as an artist and illustrator." Daniele Politini Design Director, FutureBrand - "I came across Chrissy's stunning portfolio, (required for a) brand identity of a new Italian restaurant in New York City. Chrissy's support has been incredibly helpful. She was able to bring to life a collection of meticulous illustrations of pasta, which lent a unique personality and a touch of craftsmanship to the restaurant's identity. I am confident to recommend her. She is extremely professional and demonstrates a sincere passion for her artwork. She is a dedicated illustrator and I am proud to have had the pleasure of working with her. I look forward to collaborating with her soon on another project."